Laden with crack, erm I mean white sugar! When you make it yourself you can take out these nasties and get the full endorphin releasing, heart buzzing benefits. A key point here is if it says cocoa its not raw but if it says cacao it is raw, got it, good! Anti-oxidants these are free radical scavengers; Basically the good guys that kill the bad guys that age us. We need lots of these to stay looking young and beautiful! Magnesium is needed to soothe the nervous system and aid muscle relaxation plus it is second only to silica for building strong bones. The heart muscle needs the most magnesium and it is one of the major deficiencies in our society due to it no longer being in our vegetables from depleted soils from over farming. 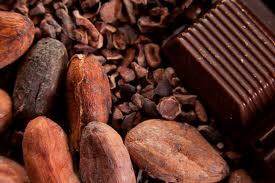 Cacao is a great source of serotonin, dopamine, and phenylethylamine, three well-studied neurotransmitters, which help alleviate depression and are associated with feelings of well being. Another reason why we are hooked is because cacao also contains monoamine oxidase inhibitors (MAO Inhibitors) that improve our mood because they allow serotonin and dopamine to remain in the bloodstream longer without being broken down. It also contains a rare molecule called anandamide which means “eternal bliss” in Sanskrit! Ahhh!! Cacao also contains B vitamins, which are needed for cognitive health and brain sharpness plus significant quantities of the amino acid tryptophan needed for our nervous system and is yet another powerful mood-enhancing nutrient. 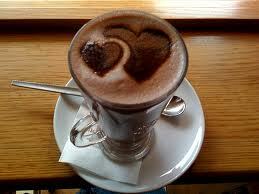 A word of caution, raw and commercial chocolate also contains theobromine (a caffeine like substance) and caffeine. This is why I don’t overdo my consumption when I am feeling a bit overstressed as it can make me feel jittery and I never eat it past 8pm at night! For those who are hooked on the morning coffee or tea this is a great healthy alternative thats still going to give you that morning boost. Alternatively you can add half a mug of the milk and top up with boiling water from the kettle. Play around with measurements to suit your tastes. 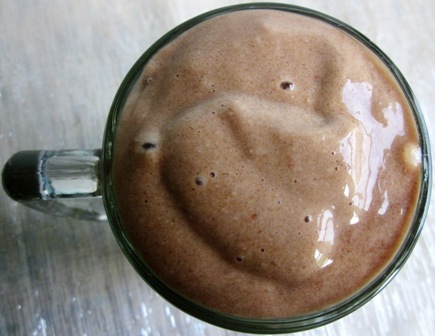 The superfood Maca is also a fav in our household in this drink which is a great energy booster and hormone regulator. These are a firm favourite of mine and are great as a gift too! Remove from moulds and store in the fridge! Use a silicone mould. I have lovely heart shaped moulds and found it was cheaper to buy ice cube silicone moulds than chocolate ones and they are just the same! Like a divine chocolate moose mmmm! Play around with desired consistency and sweetness. You can also just use un-frozen bananas but I like the ice-cream texture of frozen ones! You can be adventurous and add other fruits etc and it tastes amazing with a big dollop of almond butter or handful of spinach chucked in it for a green veggie hit! Amazingly good for the skin. Moisturising and nourishing, just smooth or massage into the body. 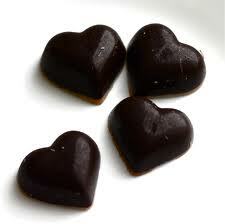 Make by using the same process as the chocolates but just take out the sweeteners and add in some essential oils! 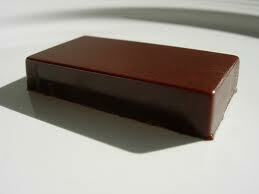 You should be able to get a good organic Cacao butter from your local health shop or online. If you have trouble locating one the recipes can be made without it, it just means they will melt quicker in your hands! My favourite brand of Coconut Oil is Virdian click here this one stays super fresh and doesn’t go rancid like cheaper brands.